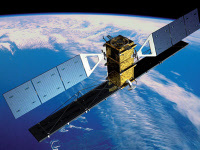 A software called LHTscansat (lofthitech google earth scanning) which works like a facial recognition software, is used for IP protection (indsutrial property). Protect the IP of a Rolex or Louis Vuitton bag is not easy. The large size of the lofthitech objects allows this "sky-control"